This came out of the blue! Last edited by Massilia; December 29th, 2012 at 05:15 PM. Having recently introduced their first luxury residential property in Doha, Kempinski is set to witness five new luxury hotels in Bahrain, Saudi Arabia and Dubai. Winner of Best Brands’ 2011 Best Service award in Germany, Kempinski Hotels previewed their new properties at its annual regional road show in Doha on April 7. The five new properties are expected to set a new benchmark in luxurious hospitality in the GCC, and bring new green and intelligent technology to the region. 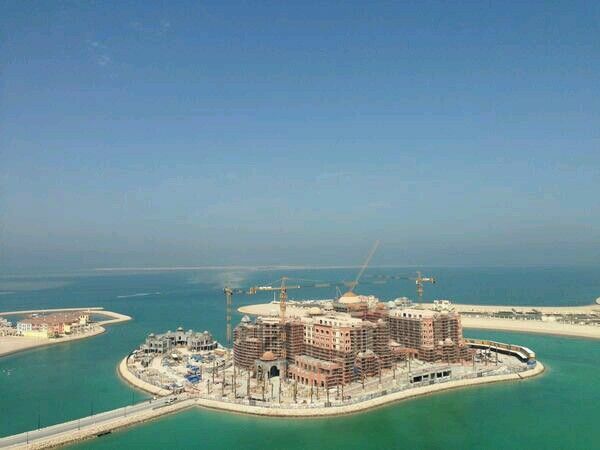 Kempinski will also manage a new Palace hotel on The Pearl Qatar, Doha that will be opened by the beginning of 2013. Hotels are also set to open in Muscat, Chennai (India), Seychelles and Summerland in Beirut. This year, representatives from 20 international Kempinski Hotels arrived in Qatar to showcase the luxury group’s growing portfolio of properties from around the world. Kempinski Hotel teams from Bangkok to Budapest are travelling across the GCC to strengthen business ties with travel trade partners in the region. The team toured three major cities in Saudi Arabia, Jeddah on April 3, Riyadh (April 4) and Al Khobar (April 5), and rounded up the road show in Kuwait on April 9. “Our travel trade partners play a key role in communicating our leading status among leisure and business travellers, and the good relationship we have built over the years are integral to our future success. This is the fifth edition of our annual road show and we once again embrace the opportunity it provides us to showcase our growing hotel portfolio to our regional travel trade partners, in order for them to continue to recommend us to their clients,” said Avsar Koc, Kempinski’s Regional Director of Sales, Middle East. wow, nice find! i looove the idea of a palace! the one in porto arabia is gonna be a marriot, right? where in the pearl is it located exactly? seems like a bad design !!!!!!!!!!!!!!! fixed... it looks more rosy now! Last edited by Massilia; December 29th, 2012 at 06:02 PM. This project will give life to The Pearl, right now its dead. The Pearl should have some 4 star and 3 star hotels, shops and restaurants for their long-term survival. They should use JBR's strategy. The pearl will have 6 hotels in the future, but now this is the only one U/C! Nikki beach and the fourseason seem to be on hold. Stable sand dunes at night, clear blue skies and a beduin singing in the desert knowing that the world is so small that he could be an astronaut flying all over the tiny skyline. it is this one right ?